Various properties of Cold Work Steels make them perfect for manufacturing a variety of products such as cutting and pressing tools, cavity moulds, knives, hobbing and drawing tools, cavity-sinking punches, flat and circular thread-rolling dies, and much more. Our rich experience and expertise over the past few years has helped us engage in the export and supply premium-quality O1 Tool Steel. They are made in compliance with industrial quality standards and are highly demanded by various engineering and allied industries. Their stainless steel surface makes them rust-resistant and abrasion-proof. It also makes them highly durable. These long-lasting steel products are highly acclaimed for their sturdiness and heat-resistance. They are offered to clients in various diameters and lengths as per their required specifications. We supply these coils to clients in customized packaging at affordable rates. They are well known for their high tensile strength and are available to clients at reasonable prices. They are also exported to our overseas clients through reliable shipment modes. We are engaged in the export and supply of premium quality D2 Die Steel. They are fabricated in accordance with industrial quality standards and are renowned for their dimensional accuracy and durability. They are offered to clients in seamless finishes of multiple lengths and diameters, which can be customized as per the client’s desires. They are highly demanded by various industries for versatile purposes. Made in accordance to industrial norms, we supply these steel products to clients at reasonable prices. They are resistant to corrosion and thus, do not get corroded despite prolonged contact with liquids. They are well-known for their high tensile strength and temperature resistance. They are known sturdy construction. We export them to clients at affordable rates. Made from superior grade Stainless Steel, our D3 Tool Steel products are available to clients at reasonable prices. They are made using advanced machines and equipments as per industrial standards of quality and are available to clients in different widths, sizes and grades. They are highly acclaimed by clients for their unique features like corrosion-resistance and moisture-resistance. They have high tensile strength and are hence, highly demanded by various industries. They possess a sturdy surface which can withstand the strongest of all impacts. It makes them damage-resistant as well. We supply them to our esteemed clients in customized, tamper-proof packaging. They are available to clients in multiple specifications which can be customized as per their requirements. They are stored in our spacious warehouse facility and are delivered to clients after the approval of quality auditors. They are exported through reliable shipment methods. We are engaged in the export and supply of premium quality D2 Die Steel Flats. They are fabricated in accordance with industrial quality standards and are renowned for their dimensional accuracy and durability. They are offered to clients in seamless finishes of multiple lengths and diameters, which can be customized as per the client’s desires. They are highly demanded by various industries for versatile purposes. Made in accordance to industrial norms, we supply these steel products to clients at reasonable prices. They are resistant to corrosion and thus, do not get corroded despite prolonged contact with liquids. They are well-known for their high tensile strength and temperature resistance. They are known sturdy construction. We export them to clients at affordable rates. Made from superior grade Stainless Steel, our D3 Tool Steelproducts are available to clients at reasonable prices. They are made using advanced machines and equipments as per industrial standards of quality and are available to clients in different widths, sizes and grades. They are highly acclaimed by clients for their unique features like corrosion-resistance and moisture-resistance. 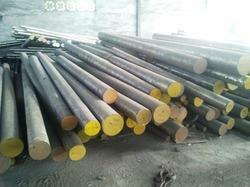 They have high tensile strength and are hence, highly demanded by various industries. They possess a sturdy surface which can withstand the strongest of all impacts. It makes them damage-resistant as well. We supply them to our esteemed clients in customized, tamper-proof packaging. They are available to clients in multiple specifications which can be customized as per their requirements. They are stored in our spacious warehouse facility and are delivered to clients after the approval of quality auditors. They are exported through reliable shipment methods. 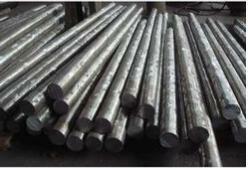 We are an established name amidst the Die & Tool Steel Exporters and Suppliers in Mumbai. 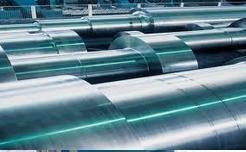 We offer Die & Tool Steel in different forms such as Cold Work Steel and Hot Work Steel. 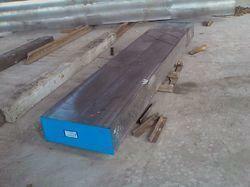 The Die & Tool Steel is offered by us in different specifications as per the requirements of the buyers. 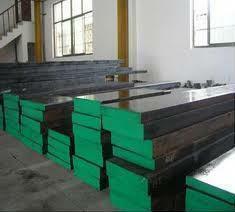 We import the Die & Tool Steel from companies in China after thorough assessment of the company's commitment to quality. 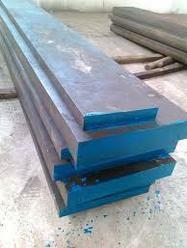 Thus, buyers can always be assured of the quality and competitive pricing of Die & Tool Steel when they deal with us. As a Hot Rolled Steel Exporter and Supplier from Mumbai, we bring forth imported products from reputed companies in China. 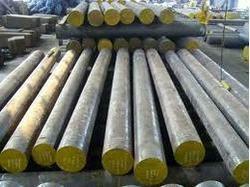 We supply Hot Work Steels that are used in hot forming of metals at high temperatures. ty moulds, knives, hobbing and drawing tools, cavity-sinking punches, flat and circular thread-rolling dies, and much more. Having all such properties like high surface hardness, good toughness and compressive strength, high wear resistance the Cold Work Steel that we offer is highly demanded. Tool & Die Steel is one of major Strengths, We are a Leading Importer - Exporter - Stockist of these Steel Products. WE offer Wide range of Sizes for this Steel. arious properties of Cold Work Steels make them perfect for manufacturing a variety of products such as cutting and pressing tools, cavity moulds, knives, hobbing and drawing tools, cavity-sinking punches, flat and circular thread-rolling dies, and much more. Having all such properties like high surface hardness, good toughness and compressive strength, high wear resistance the Cold Work Steel that we offer is highly demanded. Tool & Die Steel is one of major Strengths, We are a Leading Importer - Exporter - Stockist of these Steel Products. WE offer Wide range of Sizes for this Steel. 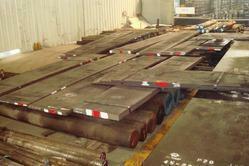 H13 Hot Die Steel products to our esteemed clients. They are made using premium-grade steel and are available to clients in various lengths and thicknesses. They are rust-proof and abrasion-resistant. Their sturdiness renders them suitable for rugged uses. These products are dimensionally accurate and can be easily installed and maintained. They are highly acclaimed for their toughness. They have high tensile strength. They are designed and developed in compliance to the prevailing industrial norms and guidelines. We supply them to our valuable client at most competitive prices within the specified time-period. As a Hot Work Steel Exporter and Supplier from Mumbai, we bring forth imported products from reputed companies in China. 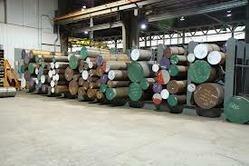 We supply Hot Work Steels that are used in hot forming of metals at high temperatures. Hot Rolled Steel that we offer possesses good strength at elevated temperatures and also resistance to fluctuating thermic loads occurring where the tool surfaces come into contact with materials to be processed. We hold specialization in offering our clients an expansive range of Hot Work Steel, which is acknowledged for its load bearing ability and durability. 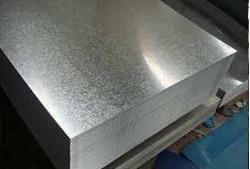 Owing to our dynamic teams, we have emerged as one of the prominent exporters and suppliers of high-quality H1 Hot Die Steel. They are made as per industrial quality standards and are highly acclaimed amongst our client base for their sturdiness and durability. Clients can avail these products from us in multiple sizes and dimensions. They are well-known for being malleable and ductile. They possess a flawless surface that is scratch-resistant and abrasion-resistant. They are resistant to corrosion and moisture. They are highly demanded for various industrial applications. They are stored in our spacious warehouse facility until their delivery to the clients. They are available to clients at economical rates. Our professional quality auditors help us engage in the export and supply of premium-quality H13 Hot Die Steel products to our esteemed clients. They are made using premium-grade steel and are available to clients in various lengths and thicknesses. They are rust-proof and abrasion-resistant. Their sturdiness renders them suitable for rugged uses. These products are dimensionally accurate and can be easily installed and maintained. They are highly acclaimed for their toughness. They have high tensile strength. They are designed and developed in compliance to the prevailing industrial norms and guidelines. We supply them to our valuable client at most competitive prices within the specified time-period. elevated temperatures and also resistance to fluctuating thermic loads occurring where the tool surfaces come into contact with materials to be processed. We hold specialization in offering our clients an expansive range of Hot Work Steel, which is acknowledged for its load bearing ability and durability. y moulds, knives, hobbing and drawing tools, cavity-sinking punches, flat and circular thread-rolling dies, and much more. 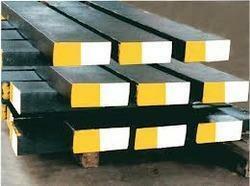 Having all such properties like high surface hardness, good toughness and compressive strength, high wear resistance the Cold Work Steel that we offer is highly demanded. Tool & Die Steel is one of major Strengths, We are a Leading Importer - Exporter - Stockist of these Steel Products. 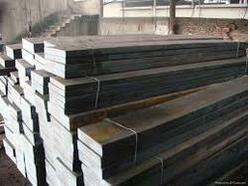 WE offer Wide range of Sizes for this Steel. Looking for Die steel tool steel & Hot die steel products ?